A few traumatic years and much disruption in the graphics business has seen renovation and renewal in many parts of the industry. But none has enjoyed such dramatic rejuvenation as the flexo sector. 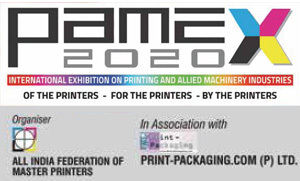 Chemical and imaging advances are helping flexographers compete with alternative printing methods, including offset, gravure and digital printing Laurel Brunner talks more about this technology. Packaging, flexo’s traditional stronghold, gets a lot of attention these days. Digital press manufacturers are eyeing up the sector and packaging producers and brands want new ways to engage with customers. Rob Vermeulen, board member of the European Brand & Packaging Design Association (ePDA), identifies the Z generation millennials who “don’t want to communicate in the conventional way.” Rob’s colleague, Uwe Melichar, President of the European Brand & Packaging Design Association (ePDA), says generation Z “Want It When I Want It Where I Want It” and expect more. “We see a movement from the major brands to the private label. The private label will become more and more strong and change their communications because they’re not bound to the history”. This is music to the ears of digital printing systems manufacturers working on packaging presses for on demand short run applications. 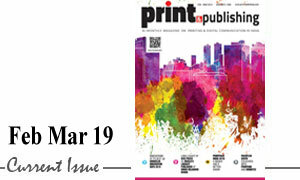 In coming years digital printing will indeed be a bigger part of the services mix, but it will not dominate. Competing with flexo technology’s speed and materials flexibility is tough and flexo technologies such as the KODAK FLEXCEL NX System, celebrating its tenth birthday this year, will ensure flexo’s continued edge. The next ten years are all about materials science and developers working with brands and retailers to drive graphics technology improvements. Digital printing systems produce prints on demand and for very short runs, serving small local producers of goods such as honey or cosmetics, artworks and craft goods. However, for digital printing technology to achieve sufficient scale for Fast Moving Consumer Goods (FMCG) will take time. We can expect to see much more variety and diversity in packaging solutions in the next ten years. Creative digital printing implementation models will not be cost effective compared to flexo presses producing 10,000 packaging impressions an hour, a typical short run for FMCG packages. As brand owners demand increasingly bespoke consumer packages, even for trials across a single city, flexo will remain the preferred option. Flexo technology keeps improving process reliability and stability, so supply chains are reforming, and workflow systems increasingly support ECG printing and distributed job management. These are key development areas for major digital press manufacturers, keen to provide competitive advantage over flexography. But with over 500 customers using the KODAK FLEXCEL NX System in daily production, the company has the necessary experience and market intimacy to keep it at the leading edge of flexo and packaging production. Over the next ten years in emerging markets where keeping food fresh is difficult, growing cold supply chains will lead to new packaging and labels applications. According to the United Nations Development Programme, over 40% of food produced in India is wasted due to factors that include lack of cold supply chains and accessible packaging materials. Even in warm places, plastic wraps on coconuts can extend shelf life from four to twelve weeks. And new formats are emerging as shopping habits change, requiring smaller quantities and trial sizes. Dr John Anderson, responsible for business development at Kodak, says, “We’ve gone from supermarkets holding around 9,000 product lines in the 1970s to over 45,000 in the 2000s.” Varying sizes and versions plus short turnaround requirements add pressure to complex supply chains, and smaller quantities create more packaging. One package for a loaf of bread becomes multiple packages with fewer slices, more likely to be eaten than discarded. This increases packaging but reduces food waste. Sustainability is about balance, so pressure for environmentally friendly packaging lifecycles will rise in line with changing recycling behaviours. Anderson explains that Europe has one of the highest levels of recycling in the world … [but] there is a difference between recycling and reusing and recovering components from the product. One of the problems with plastics recycling is getting enough of the material to make it easy and economically viable to recycle. Brands are getting together to develop mechanisms for sorting at recycling plants instead of in the home or at curb side. Apart from the complex politics there are many challenges to achieving this, requiring technology and investment into separation processes, managing mixed components, dealing with contaminants and consumer education. Flexible packaging use will keep rising. We see more and more of this type of package. Instead of a PET bottle we’re seeing flexible pouches with thinner materials. Lightweight materials which stretch on press are not well suited to gravure printing, creating opportunities for flexo printers who have their processes under control. Knowing how to prepare for the next ten years depends fundamentally on an awareness of technological developments and being able to see where current trends are heading. The flexo sector is slow moving but working hard to exploit digital workflow and process automation technologies. With more predictable plate making using technologies such as the KODAK FLEXCEL NX System’s, this gets easier. Laser Ablative Mask System (LAMS) technologies widely used for flexo plate production over the last 20 years are reaching their performance limits and are challenged to match Kodak’s speed and output quality, without using additional products and processes involving time and cost. Kodak employs a combination of high resolution film-based mask, KODAK SQUARESpot Imaging Technology and a unique lamination process to create extremely sharp flat-topped dots that are a 1:1 faithful reproduction of the digital file and optimized for printing. 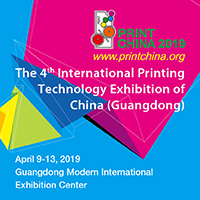 This technical approach brings a greater degree of precision to the plate making process and offers significant potential for future developments that will further the evolution of standardized, automated print production. Understanding how to get the most out of new technologies helps companies improve services to customers and their bottom line profits. But making a change takes effort. Stefano d’Andrea, a technical consultant with the European Flexo Technology Association reminds flexo printers that, “New technologies are useless if you don’t use them in the proper way.” He suggests that flexo printers stop using the press as a proofer because it’s no longer necessary to work that way. d’Andrea has also found that technology, such as the FLEXCEL NX System can make flexo cleaner and greener, for example by reducing environmental impacts using ECG printing which reduces the number of inks required. As well as saving money, ECG printing means less washup on press, predictable colour control, faster make-readies and more reliable file sharing across output processes. Effective implementation of ECG requires an understanding of digital colour management because as d’Andrea says, “you have to demonstrate how good you are in CMYK to reach expanded gamut.” Offset printers print to ISO print control aims extracted from predefined characterization data sets for different printing conditions. CRPC7 (Characterized Reference Printing Conditions),one of several characterisation data sets used in ISO graphic technology standards, characterises CMYK’s widest colour gamut in offset. d’Andrea points out that, “We should be able to do that in flexo” and that brand owners and printers can work together to ease conversion of process specific data sets for automatic colour data repurposing because “If you can measure it, you can control it.” Over the next ten years, we expect to see many more flexo printers improving colour control and output reliability, because this is what their customers want.